What Is It? 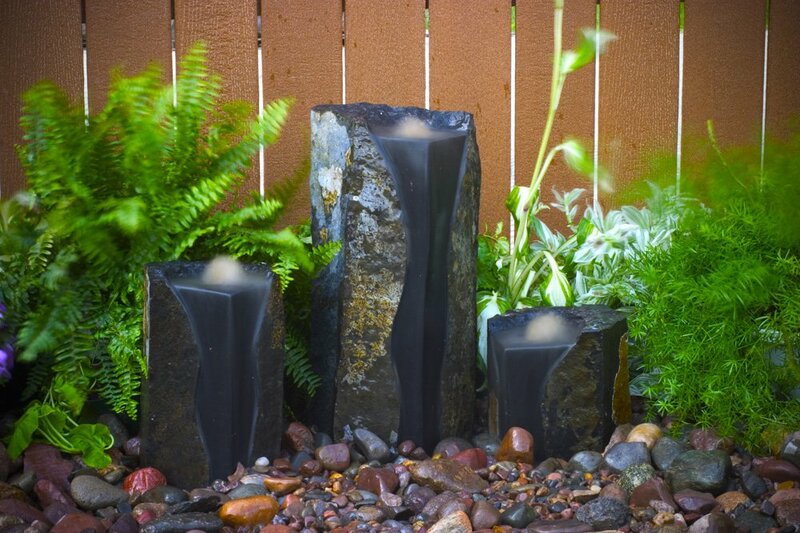 Our basalt columns are handcrafted from natural basalt stone. 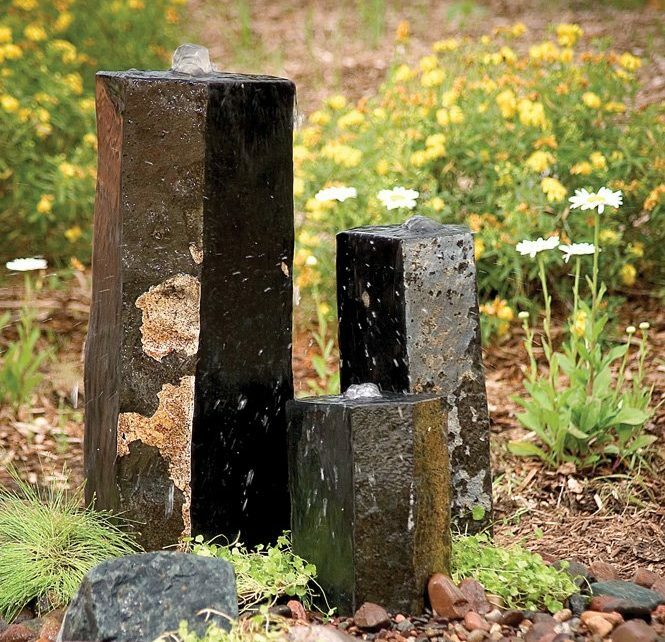 There are 4 main types of basalt stone decorative fountains that we offer: natural Mongolian basalt columns, keyed basalt columns, double textured basalt columns, and semi-polished basalt columns, each having a very unique look and texture. How Big Are They? All of our basalt columns come sets of three. The Mongolian basalt columns are all 12" in diameter, and are available in the following heights: 24", 30", and 36". The keyed basalt columns set measures: small (10" diameter by 6" tall), medium (11" in diameter by 12" tall), and large (11" in diameter by 18" tall). Our double textured basalt columns set measures: small (8" in diameter by 8" tall), medium (7" in diameter by 13" tall) and large (9" in diameter by 20" tall). The semi-polished basalt columns set measures as the following: small (7.5" in diameter by 12" tall), medium (7.5" in diameter by 20" tall), and larger (10" in diameter by 27" tall). Who Would Love It? 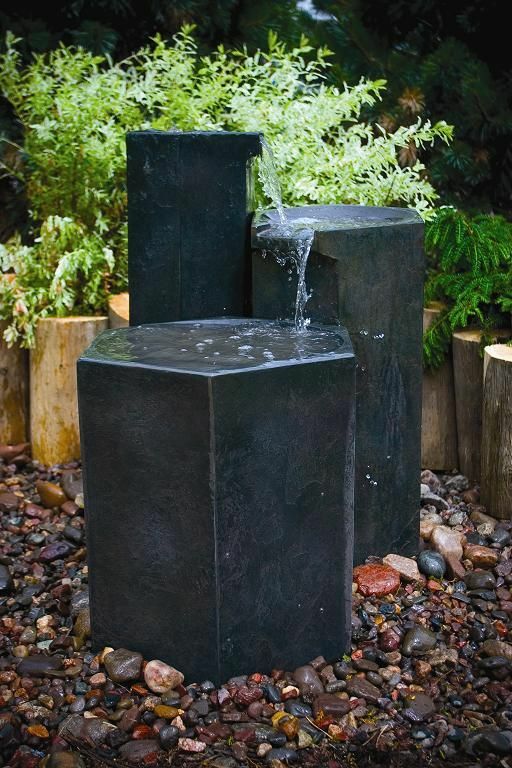 Anyone who loves water and low maintenance will enjoy any of our basalt columns. We've installed these lovely decorative fountains at business, small and large residences, front & back yards...anywhere where kids and adults will get enjoyment from them. What's The Maintenance? Our decorative fountains don't require as much maintenance as a typically pond may need. But we do recommend a spring cleaning and fall shut down, to make sure everything is in proper working condition...but other than that you can just sit back, relax, and enjoy the sight and sound of your fountain. Where Could I Put One In My Yard? Somewhere you know it will be enjoy! Many people decide to have us install their basalt columns near entryways, patios, walkways, yet some prefer to have them hidden within a secret garden where they can relax and let the stress of the day melt away. Why Would I Want One? One word...relaxation. Second word...choice. Our basalt columns are very unique and one of a kind, and you get to choose if you want a natural stone look, a double textured look, or a semi-polished look. While they are a bit taller than some of our other decorative fountains, they certainly make a visual impact as well, when placed as a focal point. How Can I Get One? 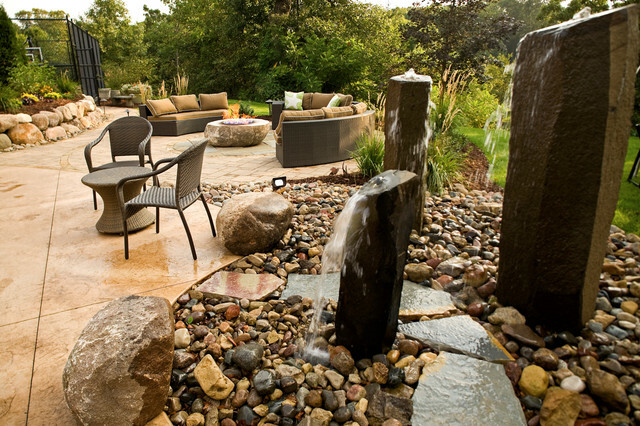 Simple...call us to get started on your personal oasis with a basalt column!